Jungle Creek 2-day will happen in Teanaway Community Forest on Sep. 3 and Sep. 4, 2016. There will be classic distance courses on Saturday and long distance courses on Sunday. Both days will be new maps. Sunday new map's latest public version is available here. Saturday map is developed in secret. General location of the race: here (gmap-pedometer). Parking location in campground, shown here here (google maps). Registration is close to start, but some way away from parking. Follow signs from parking. Course complexity is similar to all of the courses. Will Enger has pre-run a comparable modified 6k course at 1h25, with some interruptions. We expect that his race time for final version of the course would be 1h10. Start and finish are ~550 meters from registration/results. Please plan to be at registration at least 15 minutes before your start time. Eric Bone has done a similar 9.4 km course on the map at 1h44m. Based on that we estimate his comparable time to be 1:55. Note the 3 hour time limit and please choose your course accordingly. Course complexity is similar for all courses with 10k course going more uphill. Green circle: very special tree, large stump/snag. Green filled circle: small bush or pile of forestry debris. Ugly undergrowth (happens sometimes) - in some cases salal (or similar) is obstructing the way. When it is nearly impossible to cross - the greenest color is used. Undergrowth symbols are used when salal is close, or when need to run around salal. Usually navigation around is possible. Ride symbol is used for various older roads that are sometimes overgrown and sometimes hard to follow. The original altitude data is very precise LIDAR from Puget Sound Lidar Consortium. Always trust the contours! Count your steps. Don't lose contact to the map. Especially true for D1. Winning a course will earn 1000 points. Given winning time W, your time T, you will earn max(0, 1000*(1-(T-W)/W)) points. If tied by points, total race kilometers are compared with longer ending up higher. If still tied, then Day 1 start time is compared and early start wins. The TOP 4 results for points over 2 days will get Gotina candy prizes. 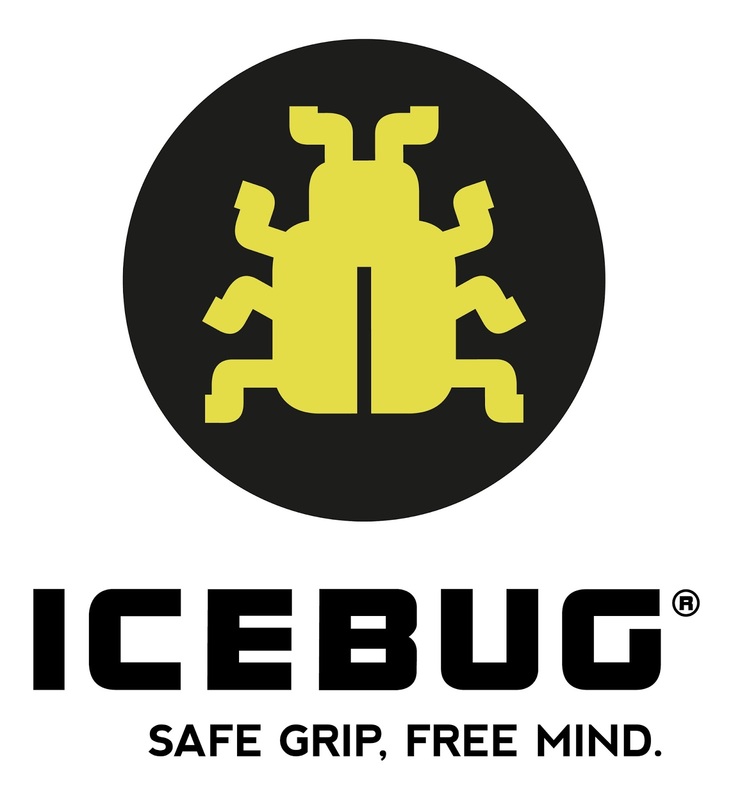 The event is sponsored by Icebug USA, providing prizes for a drawing. The event is also sponsored by Gnarly, providing hydration before and after the runs. Ott, Ing, Debbie, Dave Tallent, Rick, John, Tomas, Jan.
And also: Don, Gabe, Pat, Will, Eric, Murray for contributing to fieldwork in one way or another. Registration is closed now, but in case you really-really want to run and have not registered, please contact Forest Runs LLC somehow. Arrive at least half an hour before your start time. Go to registration, sign waivers, get a bib and safety pins. Go to start when close to your start time (start list is at the end of this document). Run! Finish! See your splits. Stick around for finishers and cheer them up as they run into the finish. A WHISTLE is mandatory safety equipment; please take several with you, in case someone else is missing one. SI sticks will be needed - if you have marked that you don't have one - we will provide rentals. BIBS - all racers must wear visible numbers. You will get your number exchanging it to a signed waiver. You will be given map if your number is visible. WATCH - if you feel like you might be pushing the 3 hour time limit, please take a watch. You must be back after 3 hours. If you are not, emergency protocol is started. A hat, sunscreen and anti-insect equipment might be a good idea. This is orienteering with all its dangers in wild. Racers will sign an OUSA approved waiver and a DNR waiver. Note that there are 4 waivers to sign - 2 for each day. Areas are open to other uses - and there will be many people in the area for Labor day weekend. There is barbed wire and other evidence of human life events on both maps. There are some deer on both maps, apparently there exists a bear somewhere near Teanaway. There are some cows on each of the maps. Please be respectful to these milk giving creatures. The archer hunting season starts on September 1. Please wear orange. There is some electric fence on Day2 map. If you are by the fence, you are way off-course. Please be careful, do not cross it. Terrain is steep in places. We strongly suggest spiked O' shoes. Part of mapping was done in Icebugs. It worked well. Wasps! There are bunch of them. Especially in campground when something is being eaten. Safety is a major concern. The best solution - don't let issues happen. We will have first aid qualified people on sight. However, any serious problems will be routed through 911 - and it takes 5 minutes to get into coverage and then likely quite more for them to come. Please don't let issues happen and if there is someone in distress - please help them. Once serious issues happen, the race is over. You may orienteer as a group, but you must leave start and finish together. Keep together the whole race. 3-hour time to finish. At most 5 hours till search party is sent after you. We will inform 911 at that time. When you cross 3h time, please come back at once. Checkpoints may be removed at that time already. There will be no CHECK control; only CLEAR and START. You must CLEAR before START and HEAR START BEEP. Pack-in/pack-out. Please do not create mess. Homebrew OC quality maps (D1 map will be higher quality, D2 will be more generalized), ask previous users. There will be water at finish and on course. Route gadget after race by Tuesday night. Results published by Tuesday night. Maps will be bagged or on waterproof paper. Here. Nights are not terribly warm. Likely the races will not be hot either. Parking for both days will be inside 29 Pines campground. It is first come-first serve based camping. We will try to occupy some spots on Friday. We are allowed to have up to 2 cars parked in each camping spot. There will be a parking volunteer. Please arrive early. Discover pass is necessary for all cars. NO PARKING ON ROAD. R1 - registration for Day 1. R2 - registration for Day 2. The dashed purple line follows route to the start area. It will be marked by streamers and may differ. The crossing on road will have a sign "pedestrians on road" or similar, but you need to pay attention - different cars are using the road. 29 Pines campground is the natural choice, but it is first come-first serve basis. Especially on Labor day weekend. There is another free campground closer to Cle Elum, and some hotels in there. We suggest you arrive early on Friday and occupy a campsite. We will use campground as a parking location, but it will not be reserved parking and we will have to use campsites, so an orienteer-occupied campsite will be very useful for the purpose. No campfires are allowed due to a burn ban!